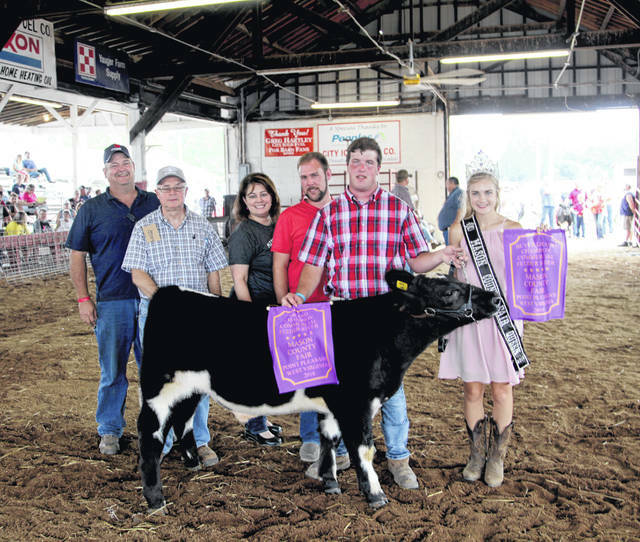 The Junior Livestock Sale was held on Friday of the Mason County Fair. Grand Champion feeder calf went to Derek Schwartz, buyer Pleasant Valley Hospital (PVH), Cabell Huntington Hospital, Marshall University Joan C. Edwards School of Medicine, Roush Boer Goats Matt and Walt, and Southern States ($6.50). More photos from the Junior Livestock Sale are located inside this edition and online at www.mydailyregister.com.